Thomas DeSanti at his company’s factory in Williamsburg. He says the Trump tariffs are negatively affecting his company, Williamsburg Metal Spinning and Stamping Corporation, which has been in business for 75 years. When people think of New York City they often think of the city’s skyline. While tourists might be the ones who gape at the buildings, they are important to New Yorkers, too, as places to live and work. While New York is sometimes called a “concrete jungle,” it is metal that makes the city what it is, from the steel in skyscrapers to the chrome of a messenger’s speedy bike, to the aluminum can of soda you drink with a slice of pizza, while sitting at a metal table before dumping it into a metal trash can on the sidewalk. In March, President Trump announced a 25 percent tariff on all imports of steel and aluminum, including metals from China. Steel and various metals can be used for car parts, wrought iron fences for homes and are the structural foundation for commercial and residential buildings. Aluminum can be used for cans, packaging for food and medicine, computers, kitchen utensils, window frames and beer kegs. This story is part of “NYC/45: Tracking the Trump Effect in New York,” in which a team of students at the Craig Newmark Graduate School of Journalism at CUNY investigate the impact of President Trump’s policies on his home state and town. 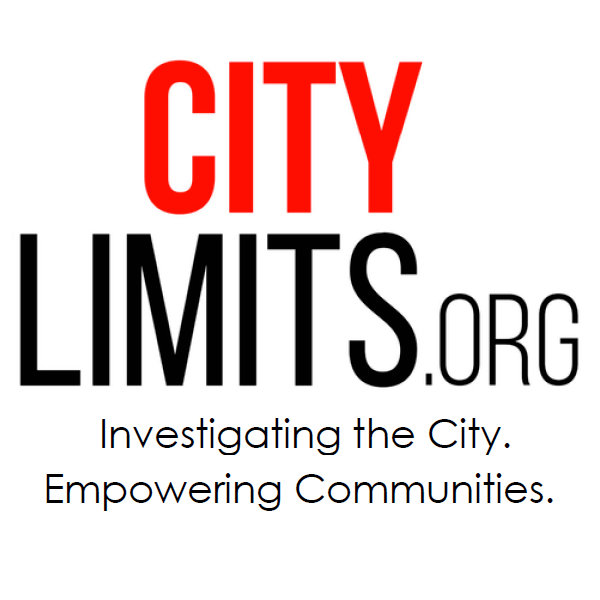 Read recent stories on military spending, workplace inspections and immigrants with HIV, or see related reports from WNYC and City Limits. Tariffs are taxes or duties to be paid on a class of imports and exports. Tariffs in turn can increase the price of goods, and possibly force consumers to pay more for everyday goods. They, can also hurt local businesses that depend on purchasing steel and aluminum at wholesale prices. David Laurentz, owner of Eastern Steel in Brooklyn, has felt the impact of the tariffs on his business. Laurentz’s firm has been around for more than 80 years and supplies steel to construction companies. He said that the impact has been minimal but it’s real. He normally purchases his goods from a steel mill in Canada that has added the 25 percent tariff and it’s limited the products that his business has purchased from that mill. “We have had to increase the cost of the materials on the sales price as well,” Laurentz said. Economist Robert Brusca at Fact and Opinion Economics said that the steel and aluminum tariffs affect important input products for U.S. firms. The report found that U.S. imports of those metals were nearly four times its exports and that aluminum imports had risen to 90 percent of total demand for primary aluminum. In turn, the Commerce Department recommended that Trump should act to protect the long-term viability of the nation’s steel and aluminum industries. In June, Commerce Secretary Wilbur Ross defended the Trump’s administration’s tariffs during a Senate Finance Committee hearing, as members voiced their concerns. Ross predicted then that the tariffs would be lifted over the summer after trade negotiations. At the G-20 summit in Buenos Aires in November, Trump and China’s President Xi Jinping, agreed to a trade truce. The two sat down for more than two hours to come to an agreement. The Trump administration said that it will temporarily hold off on a new round of tariffs that it was scheduled to impose on China beginning in January of 2019 for 90 days. Those tariffs would have imposed $200 billion in Chinese goods. However, there was no resolution for the tariffs imposed on steel and aluminum. So, businesses such as Brooklyn Brewery are still absorbing the costs of the tariffs. CEO Eric Ottaway said that the tariffs have increased the cost of materials for their cans right at a time when cans are increasing in popularity for craft brewers. Ottaway was able to prepare for the additional costs by buying ahead of time but said that if the impact of the tariffs continues to increase, that cost will pass through the business. He hasn’t raised prices of the company’s beer yet, as the effect has been minimal, but fears that he may be forced to if there isn’t a change. “We are absorbing it. We don’t like it. But if they take it up higher then we’re going to have to make an increase,” Ottaway said. Brusca said that many businesses that are competing in a dynamic market decided that they’ll have to eat the price increases. “So, in the short run it compresses their profit margin and, given enough time, it might even cause them to have losses or might reduce profitability enough so that it doesn’t make sense for them to produce it,” he said. According to Statista, there are 12 countries that the United States imports the most steel from. In 2017, the U.S. imported over 5.6 tons from Canada, 4.6 tons from Brazil, 3.4 tons from South Korea, 3.1 tons from Mexico and 2.8 tons from Russia. China is at the bottom of the list at number 11 with 740,126 metric tons of steel it traded with the U.S. last year. 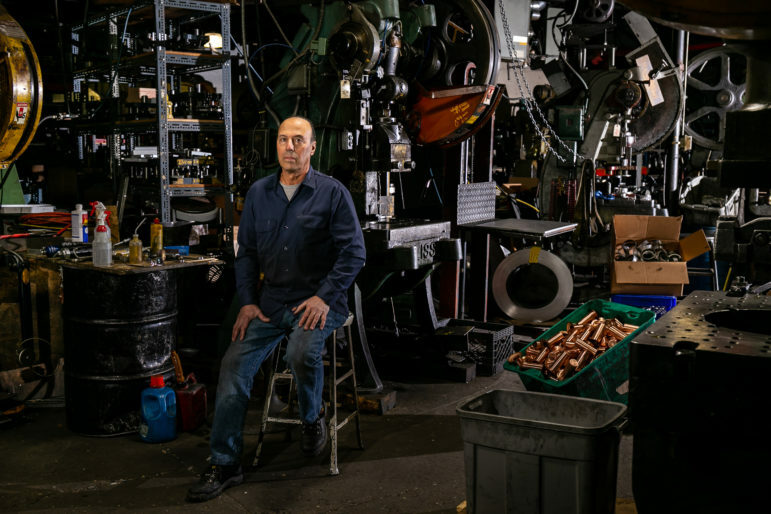 Thomas DeSanti is the owner of Williamsburg Spinning and Stamping in Brooklyn where the steel tariffs have been affecting his business. DeSanti said that the tariffs should have been implemented against finished goods coming into the country as opposed to raw materials. DeSanti’s business purchases raw materials in coil form. His workers then feed that material into their machines to fabricate component parts for finished products. DeSanti said that if it gets to the point where his customers can’t stay in business or if they’re forced to go to Mexico, Canada and Vietnam to get their product, then his business will have to close. The Statista-sourced U.S. steel import figures are for millions of metric tons — this story should be corrected to read: the U.S. imported over 5.6 million metric tons from Canada, 4.6 million Mtons from Brazil, … etc.